Grantham Scholar Harry Wright has just returned from a trip to the Za’atari refugee camp, where he’s been growing plants in old mattresses. 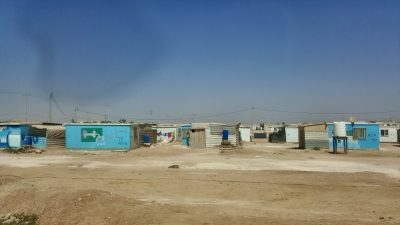 I recently embarked on a humbling experience to the Za’atari refugee camp in Jordan, where I worked with a group of scientists from the University of Sheffield led by Professor Tony Ryan. Za’atari is the largest refugee camp in Jordan, hosting 80,000 Syrian refugees, many of whom were displaced from the Dara’a region in Syria. The Dara’a region is known for its fertile soil – and every person that I spoke to who was from the region said they were farmers, either commercial or subsistence. 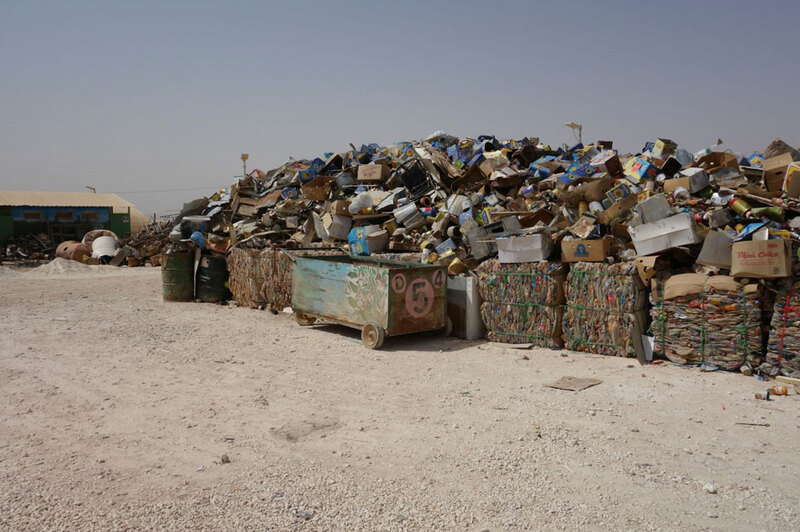 With Za’atari full of Syrian farmers you would expect the camp to be green with crops and trees, however this is not the case. Talking to residents as well as NGOs we started to decipher the complications residents were having growing their own plants. The main problem was that camp rules do not allow for residents to plant anything in the ground, as this signifies permanence. So no growing in the ground. What about pots? Well the ground is incredibly salty and has very low organic matter content, making it far from ideal for growing in. Those residents who were growing plants in pots had to wash the soil several times and use the precious little water they have for this (37 l per person per day). This seemed like an ideal situation to use hydroponics (soilless growing) to help the residents. Hydroponics use less water and fertilizer than conventional agriculture and can give increased yields. These methods could be adapted to grow plants in pots. These simple systems will hopefully bring more than just produce to the table. There is something more to growing plants than simply harvesting the produce, the process is almost spiritual. 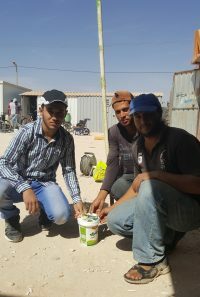 Working with several NGO’s in Za’atari as well as enthusiastic residents we were quickly able to repurpose old materials for the purpose of making hydroponics pots. Yogurt tubs would be used as pots and old mattresses as the growing media. 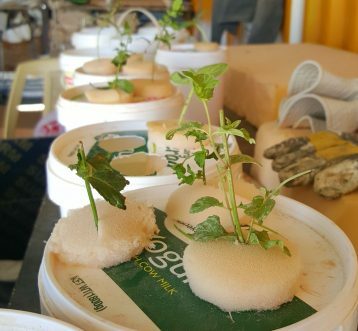 After introducing the basic principles of hydroponics and explaining the plan at a workshop run with Za’atari residents, the attendees eagerly set up a production line. People cutting raw materials and passing them on, others making up nutrients solutions and another group planting seedlings and cuttings in the pots. Within an hour we had 30 odd pots. The willingness of the residents to learn and eagerness to put a plan into action was truly astounding, and between the work many smiles, jokes and laughs were had. Many younger residents drop out of school to help bring an income to their household, yet their excitement towards learning has not subsided. It was incredible to see the resilience of the Za’atari residents, not allowing any situation to defeat them. Hopefully on our next trip, windowsills will be green with home hydroponic systems.